Marine conservation organisation Sea Sheperd has announced that it has opened its very own all-vegan tattoo studio in Amsterdam. The idea to open the new studio came from Sea Shepherd’s Global Artistic Director, Geert Vons, who created the organisations famous Jolly Roger logo. Not only will the tattoo studio be offering customers the chance to add a beautiful piece of vegan-friendly artwork to their bodies, all of the profits from the studio will go towards conserving and protecting the planet’s oceans. 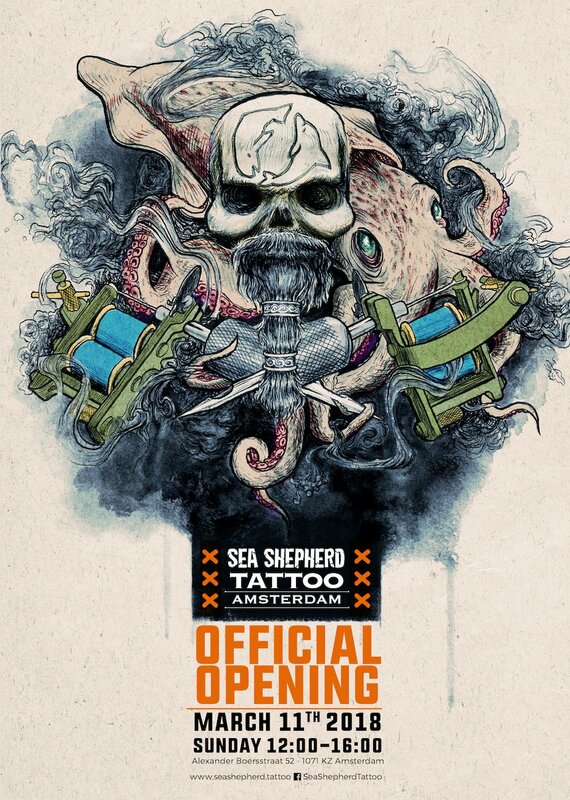 The Sea Shepherd Tattoo Studio in Amsterdam is now open for business and is currently taking reservations, which is the only way customers can book to get inked at Sea Shepherd tattoo. If you would like to get a tattoo from Geert and the Sea Shepherd team, you must fill out an application form here, and come to the studio with a nautical or ocean themed design in mind. The studio will hold its official grand opening of the venue on March 11th from 12 pm until 4 pm.